Gazebos Umbrella’s that we provide are made up of high quality material to bear all season and weather conditions which are of high durable quality. They are available both as Readymade & Imported as well as Customized as per the customer need. These products are used in large quantities for special occasions and functions and are easy to use because of its simple design and optional features such as 360° degree adjustability. Garden Umbrellas are used in Open Air Restaurants, Residential Spaces, Resorts, Gardens, Parks and Food Serving Outlets etc. We offer a great range of Garden Umbrella’s at competitive and affordable market prices to our customers. We also provide maintenance services for the furniture supplied by us. · Made from High Quality Acrylic Fabric material with long lasting powder coated Aluminium or MS frames. 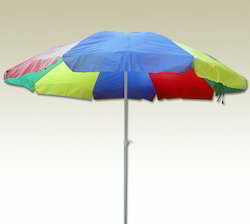 · All our Garden Umbrella’s are rust proof and eco-friendly. · 360° Angle adjustable Umbrellas are also available.